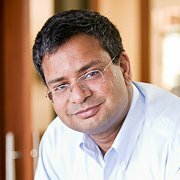 Editor's Note: This guest post was contributed by Ashu Garg, General Partner at Foundation Capital. It’s been one year since we published MarTech and the Decade of the CMO and predicted a $120 billion market opportunity in the next ten years. In year one alone, we've already seen amazing strides. Marketing's software revolution is a constant discussion point in C-suites across the globe, while startups like Yozio and Localytics are leading the charge in growing the industry. It’s now an undisputed fact that business leaders see marketing as a technical discipline and are actively transforming the way marketing works. The speed at which the transformation happens will eventually define the Decade of the CMO, but for now, let's take stock of today's trends and how they match up with the predictions I laid out 12 month ago. Finding standard, rock-solid methodologies for ROI is the holy grail of marketing. Yet today it feels to many like we are no closer to finding the prize. Most marketers I talk to are currently treating ROI like it's the Hydra, a multi-headed mythical beast that confounded and killed anyone who dared approach it. Standard metrics, multi-touch attribution, and industry standards for measurement are not close to being in place—and as cord cutting becomes more common, advertisers and content creators are going to need even more ways to catch up. One year into the Decade of the CMO, the tools required to fulfill the promise of a data-driven marketing organization are still lagging behind. Which companies will play the proverbial Heracles and slay this Hydra? We cannot predict that yet, but it's clear that solving the measurement of ROI is an area that is becoming urgent for marketers everywhere, and thus making it ripe for new leaders with innovative ideas. Last year I predicted that companies would start hiring math people to lead marketing efforts, and this has proven correct, with companies as different as Wells Fargo and Clorox both hiring marketing leaders with a technical background. Large players like Google and Verizon (who acquired AOL, who in turn had acquired Adap.tv) are making big moves in programmatic marketing, and while many startups in this area have fallen by the wayside, TubeMogul has found great success thus far. Another person talking about the ‘math men’ trend is Scott Brinker, author of the chiefmartec blog. In his new book called Hacking Marketing, he explores how, "as everything becomes more and more digital — the art of managing marketing increasingly resembles the art of managing software." It's become abundantly clear that marketers recognize the need to change their strategies, and in doing so, they're verifying what I codified last year, which is that marketing is and will continue to be a technical discipline. My edict that companies must publish or perish has been taken to heart. And while I'd like to take credit for the explosion of content marketing companies that have risen to fill the publishing void, in reality, forward-thinking companies all realize the need to develop new methods of customer acquisition and engagement. In just the past year there has been a massive amount of activity and innovation to address these issues. But with no clear winners as of yet, there is still a huge opportunity for startups to deliver much needed solutions to all the companies who are trying so hard to adapt despite the headwinds in front of them. Last year I suggested that instead of connecting with a million people at once, brands would start trying to connect with a single person a million times over. I still believe that this is the way of the future, but in the present, how companies will achieve this goal is still very unclear. What is clear is that there is a huge need for content, and everyone agrees that the more personalized that content is, the more effective a marketer's efforts will be. But will new companies emerge that turn personalization into a category? Or will personalization just become an important factor across all marketing disciplines? One year into the Decade of the CMO, the only thing we know is that we don't yet know anything. In a marketer's ideal world, they'd be able to drive revenue by connecting the right person with the right recommendation at their greatest moment of need—and I suggested last year that this crossover between marketing and sales would be accelerating over the next decade. It's actually accelerating faster than I anticipated, but in a slightly different way. Some companies have created a position that Forbes is calling "the CEO's new weapon for growth and success: the Chief Revenue Officer." It is the job of the CRO to coordinate the efforts of both sales and marketing, identify the areas that lead to revenue, and chart a strategy for continued growth in new markets. However, most companies are still relying on the CMO to take charge, and they, too, need to find more efficient ways to drive revenue. At the moment there is still no definitive agreement on how to optimize the customer journey, but there is a huge demand to have someone figure it out—and as a result, many companies have emerged to offer analysis and optimization services. Ultimately, the tools that need to emerge from this exploration will give marketers the ability to better understand their consumer, make more ROI-centric decisions, and turn marketing success into success for a company's bottom line. Scott Brinker's annual edition of the Marketing Tech Landscape is late this year because, by his own admission, he "underestimated the number of marketing technology companies out there today." The face of marketing is changing and technology is one of its key drivers. In just the first year of the Decade of the CMO we have seen incredible growth and innovation—programmatic marketing has matured nicely and content creation is white-hot, but there is still a lot of turbulence in the areas of ROI definition, personalization, and closing the deal with customers. Reserve your place at Foundation Capital's upcoming CMO Tech Tour and help us usher in year two of the Decade of the CMO. Spots are limited, so RSVP today. For more insight into how CMOs can leverage content marketing, download this new ebook, The Sophisticated Marketer's Guide to Content Marketing today!